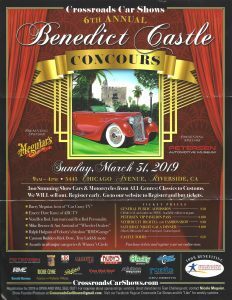 Just cluing you in about a great concours coming up this weekend. 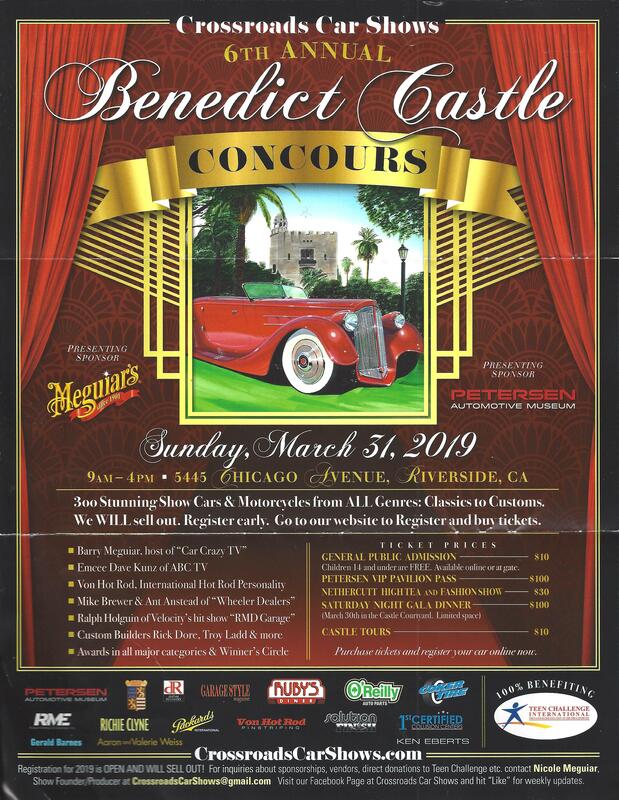 It’s the Benedict Castle Concours in Riverside, California on Sunday March 31,2019. This event has a lot going for it; not to mention approximately 300 great cars to see. The property, Riverside’s historic Benedict Castle is a very interesting place, and by all means take the castle tour while your there. This place has legit old time Hollywood movie credentials. Moreover, it’s a big time charity event, benefitting a truly worthy charity, that being Teen Challenge. The event’s prime mover is Ms. Nichole Meguiar, yes she the daughter of Mr. and Mrs. Car Crazy, Karen and Barry Meguiar. 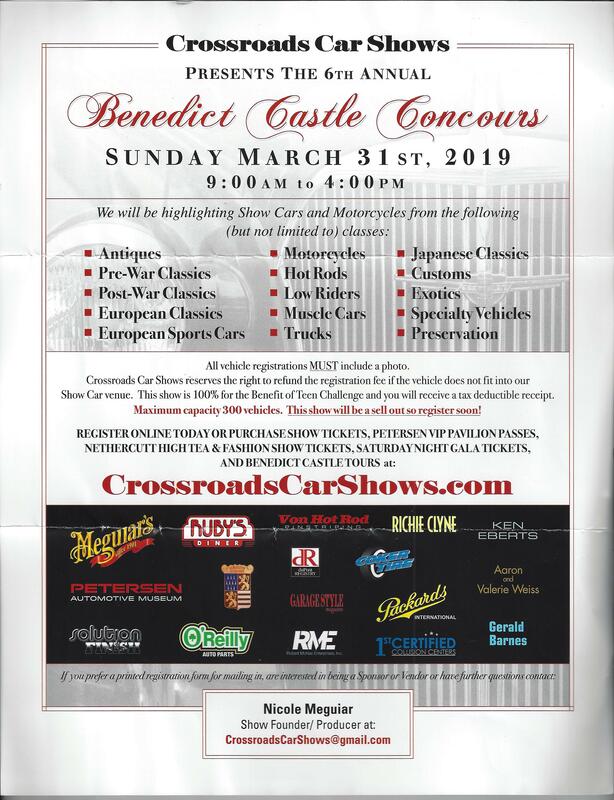 My friends Wayne Carini and Ed Iskenderian are former grand marshalls of this show, which gives you an idea about the punch this event packs in the autosphere. 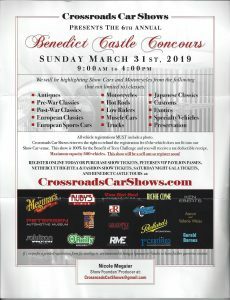 Celebs on hand will include Barry Meguiar, ABC TV host car guy Dave Kunz as emcee, Mike Brewer and Ant Anstead of “Whealer Dealers” TV show, Ralph Hoguin of his own RMD Garage, and custom builders Rick Dore and Troy Ladd, plus who knows who else could show up. And you’ll see it all here; hot rods, heavy classics, sports cars, muscle, and customs of all stripe. Entries have long ago filled up, but all spectators welcome, and the ticket prices are a bargain, and remember, it all goes to a great cause.